We are off to the knockout stage of the Gold Cup! Well, we shouldn’t celebrate much because 3/4 of the teams advanced out of the group stage, and the average FIFA rank of the teams eliminated was 96 (yes, I did the math). So let’s not pat ourselves on the back for doing what was expected to be done. That being said, there are some powerhouses in the quarterfinals, along with some dark horses who may have found form at the optimal time. In this article, I’ll quickly preview each team and give some specific predictions. 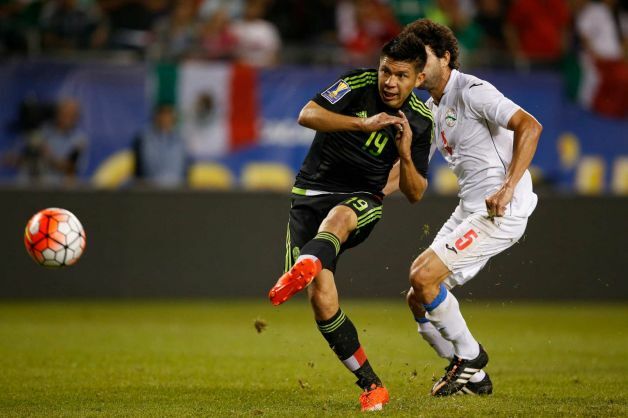 Will Oribe Peralta be able to help El Tri regain Gold Cup Glory? 2. United States (7 pts, 2-0-1) Have they been playing like the best or second best team in this tournament? No. But the bar isn’t set that high. Other than Mexico’s demolition of Cuba, the three favorites have underperformed. The United States can still find their form if Klinsmann decides to stick with a consistent lineup. We have arguably the best two players in the tournament–Brad Guzan and Clint Dempsey–and they should be able to thrust the United States into the final. 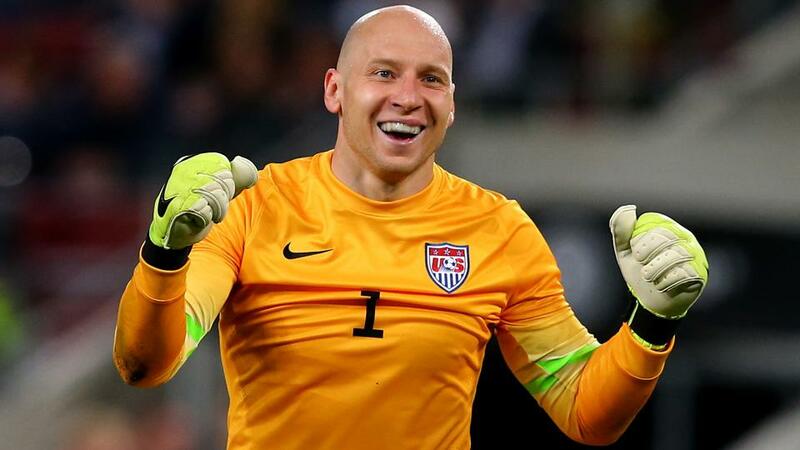 Brad Guzan has been the bedrock of the U.S. team throughout the group stage. Kenwyne Jones will have to continue making dangerous runs and causing problems for defensive lines if the Soca Warriors want to keep their Cinderella Story alive. Bláz Perez may be 34 years old, but he is still pestering defenders and scoring goals. 5. Costa Rica (3 pts, 0-0-3) In my eyes, Costa Rica has been the biggest letdown of the tournament. 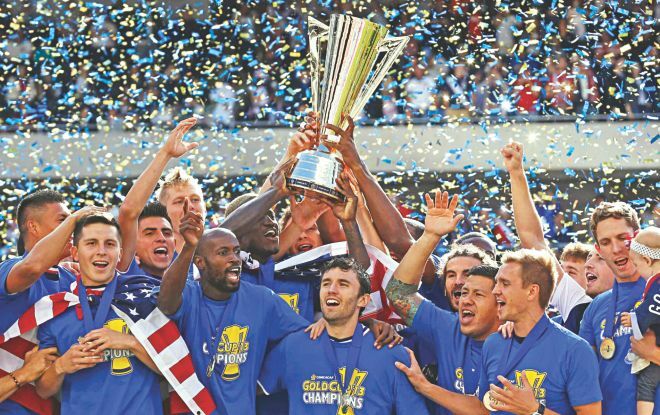 Following their magical run in the 2014 World Cup, many expected that form to follow into the Gold Cup. Yet, it seems that much of that magic may have departed with former head coach Luis Jorge Pinto, who is now on the sidelines for Honduras (who also had a disappointing Gold Cup). After being placed into the cupcake group with Jamaica, Canada, and El Salvador, most thought that Costa Rica, ranked 41 in the world coming into the tournament, would easily post 9 points and finish at the top of their group… Well, Costa Rica has only scored 3 goals in the tournament and has yet to really show any reminiscence of the team that took the Dutch to PKs… We’ll see if they can regain that form in the knockout stage but I doubt it. Can the Costa Ricans find the spark that ignited them in the World Cup? 6. Haiti (4 pts, 1-1-1) Haiti finished with four points in what I considered the most difficult group with Panama, Honduras and the United States. After tying Panama and losing to the United States, the Haitians needs to secure 3 points against Honduras to ensure their survival into the knockout stage… In the sweltering afternoon heat of Kansas City (felt like over 100…) the Haitians were able to score one goal, and that goal would be enough to take them on to the next round. After the match, the Haitians collapsed on the field in relief and exhaustion, but the they should not sell themselves short: They undoubtably have a chance to better their Caribbean counterpart, Jamaica, in the knockout stage. 7. Jamaica (7 pts, 2-0-2) Ok, you might be surprised to see Jamaica ranked here considering they finished with a respectable 7 points, but let’s look into the those 7 points a little more closely… One win was over El Salvador. In this match, they only produced 4 shots on target to El Salvador’s 7, and only maintained 32.% possession. In their second win, over Canada, they swung away 21 times, but only put the ball on frame 6 times and produced one goal. They also weren’t able to outpossess Canada… Canada is ranked 103 in the world. I think Haiti will give them problems. 8. Cuba (3 pts, 1-2-0) How the hell are these guys still here!!! They have players not just quitting the team… but quitting the nation minutes before quick off! Absolutely ludicrous. But despite getting completely dismantled by Mexico, and then again losing handedly to Trinidad and Tobago… the Cubans were somehow able to steal three points from Honduras… I think it’s more likely that 15 players defect minutes before game time and Cuba has to forfeit than the USA losing this match. USA v. Cuba: Saturday, July 18th- 5 PM EST, Baltimore, MD. Prediction: Cuba doesn’t have a full team! USA starts to find form and wins easily. Will the U.S. be able to win back to back Gold Cup titles? Haiti v. Jamaica: Saturday, July 18th- 8 PM EST, Baltimore, MD. Prediction: Overrated group winner falls to inspired Haitian side. Both teams will have problems holding the ball. Trindad and Tobago v. Panama: Sunday, July 19th- 4:30 PM EST, East Rutherford, NJ. Prediction: Best match of the quarterfinals. This one could go either way, but based off recent form, I think Kenwyne Jones will score a goal and elevate the Soca Warriors past Bláz Perez and the Panamanians. Mexico v. Costa Rica: Sunday, July 19th- 7:30 PM EST, East Rutherford, NJ Prediction: This match looks good on paper considering the performances of both sides in the 2014 World Cup, but Costa Rica just really isn’t playing well right now. I expect Mexico to win convincingly. How is he still on the team? Four Specific Predictions 1. USA will finally start their best lineup against Cuba and score 3+ goals 2. 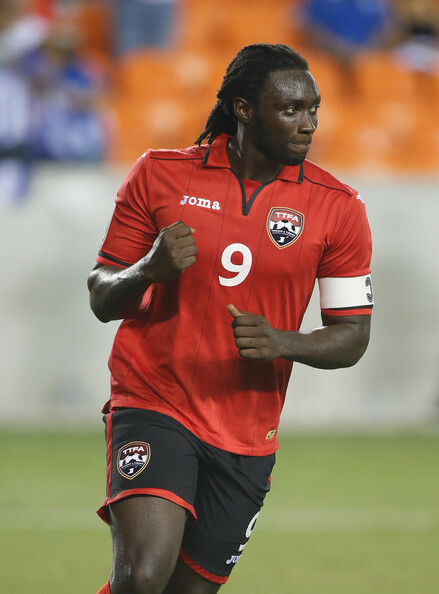 The Trinidad and Tobago vs. Panama will be the best match of the quarterfinals and Kenwyne Jones will score a goal in extra time 3. Oribe Peralta and Carlos Vela will score against Costa Rica. One of them will have two goals 4. 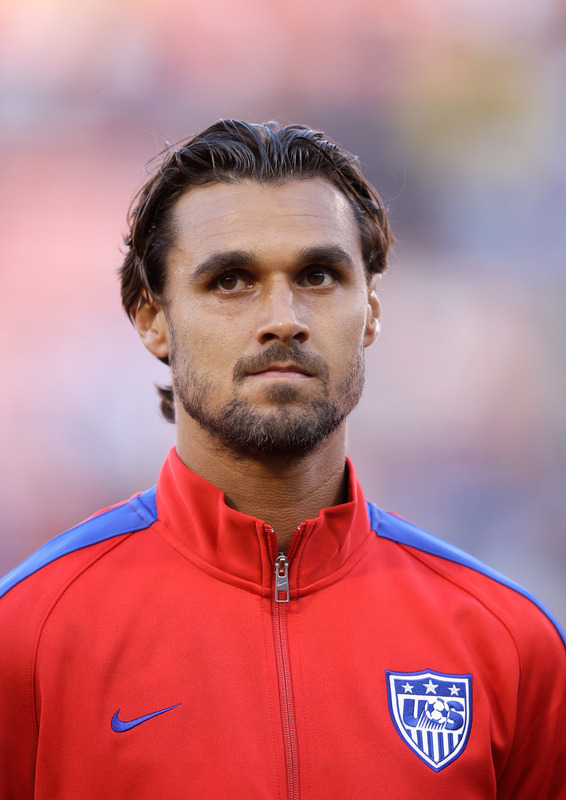 Wondolowski will miss an open net and Timmy Chandler will high five him after… So now sit back, grab a beer and enjoy the matches.